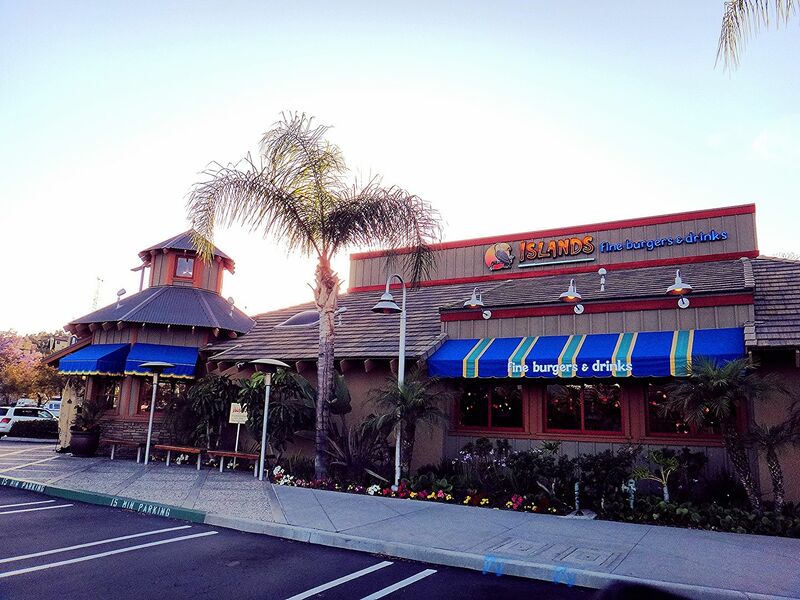 For me, the first restaurant I ate at in California was an Islands in Manhattan Beach. I remember it well because it sat glowing in the shopping center by our hotel, promising everything I envisioned SoCal to be: palm trees, surf movies on the TV, fun tiki-style decor. Not to mention all of my favorite foods. At the time, I didn't know it was a chain because it didn't (and still doesn't) feel like one. It just felt like a establishment that embraced the lifestyle I was looking for: laid back, fun, and cozy. I was 19 and so excited to eat at my first west coast restaurant. 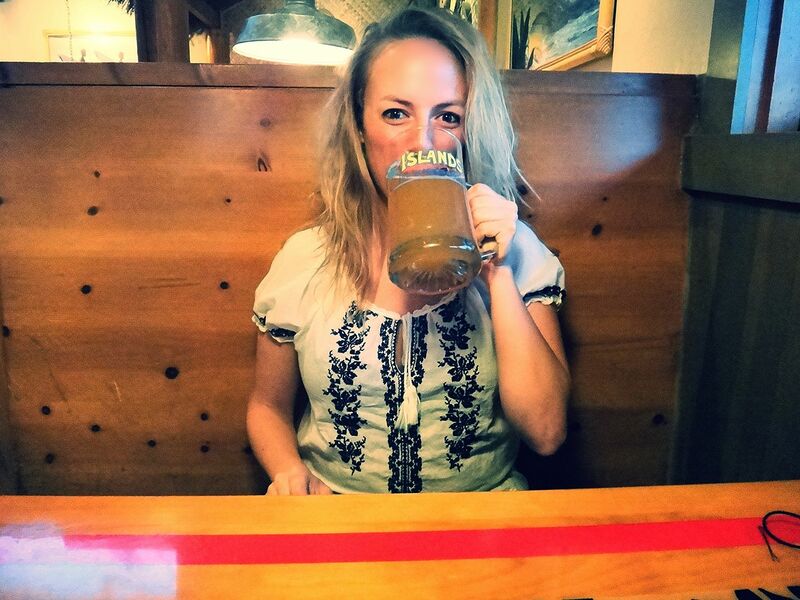 Obviously, Islands did not disappoint. Now today, every time I go there, I get to revisit that giddy new-to-California feeling. But you know what the best part is? These days I can celebrate that feeling with some of their delicious cocktails and craft beers. Which is exactly why we headed there last week when San Diego was on fire. One, it felt inappropriate to to cover too many happy things about San Diego, on this San Diego-centric blog, when the county was consumed in wildfires and people were losing their homes. As city-dwellers, the wildfires didn't and probably won't ever affect us or even come close. But I was still worried about my North County friends and co-workers, and especially Ryan's parents. The other reason that it was hard to post was because I was in the throes of a really hectic and stressful week. I had a lot of events going on after work, a major paper due for school, AND I was in the final stages of preparations, coordination and checklists for the baby shower I was throwing in San Francisco that weekend. Let me tell you... organizing an event with so many moving parts in another city is harder than it sounds. Needless to say I needed a drink. Ryan and I headed to Islands for dinner last Monday night and it was the perfect respite from the heat, as well as a nice break before diving into the chaos. Right off the bat, our server told us about their pineapple-infused tequila margarita and I didn't have to think twice. Yes, please. Comfort food was my next must-have on the agenda. 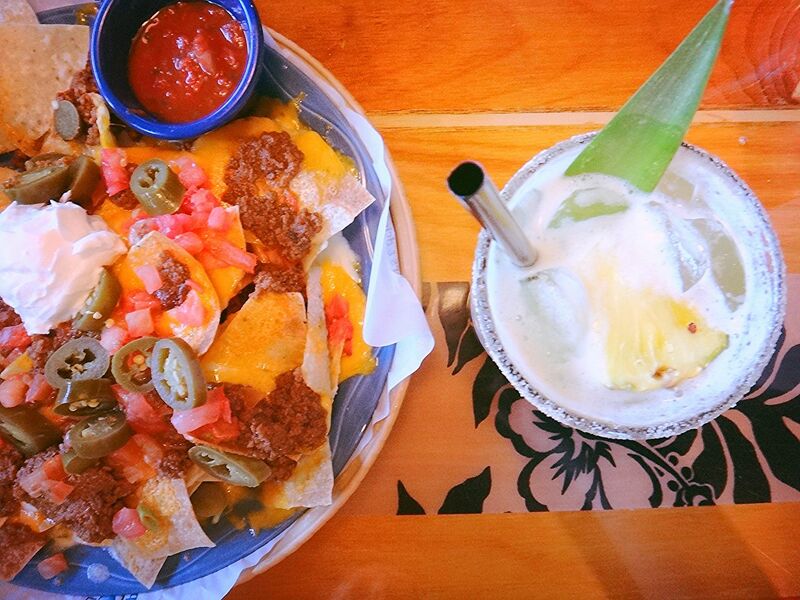 So we dove into a place of their Island Nachos with chili. I can safely say these are the best nachos I've had in a long time. Between the two of us we cleaned the plate. I mean, let future Bri and future Ryan decide how we're going to eat dinner after stuffing our faces with a huge appetizer! Right? That future came about five minutes later when we put in our entree orders. Whoops. Ryan got the Malibu burger with applewood smoked bacon and fries, while I tried to find something a bit on the lighter side. That's when I came across their Beach Bowls. 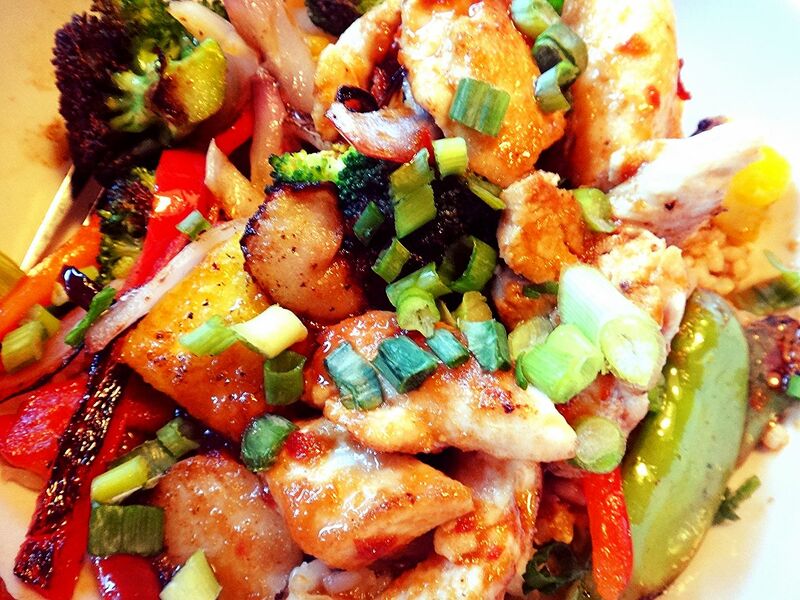 Their Chicken Hoisen Beach Bowl came with grilled chicken, fresh grilled pineapple, red bell peppers, snow peas, water chestnuts, red onions, broccoli & diced scallions, covered in hoisin sauce and served over brown rice and it was DELICIOUS. It was so filling and so tasty that I felt like I could probably eat it every day. 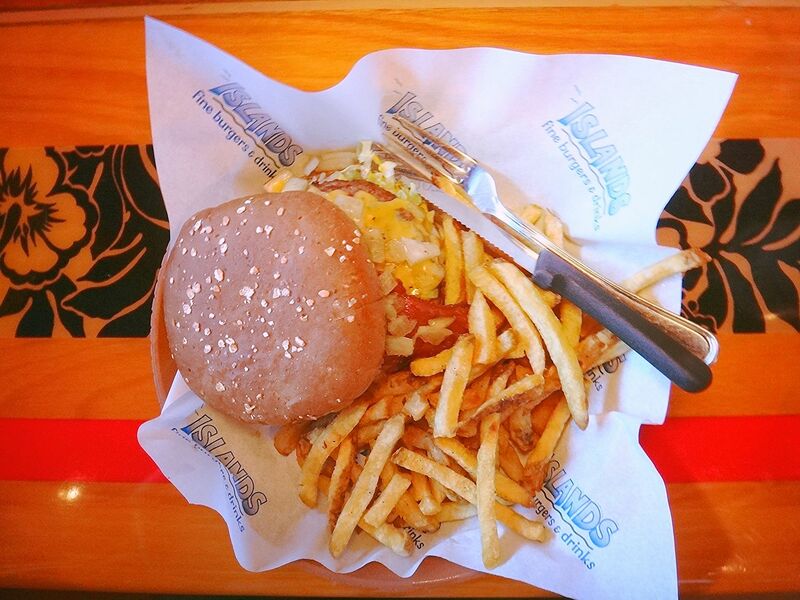 In fact, I tried to convince my coworker to go to Islands for lunch yesterday just so I could have it again. We closed the night with a fudge brownie and ice cream off of the desserts menu and left the restaurant in a massive food coma. 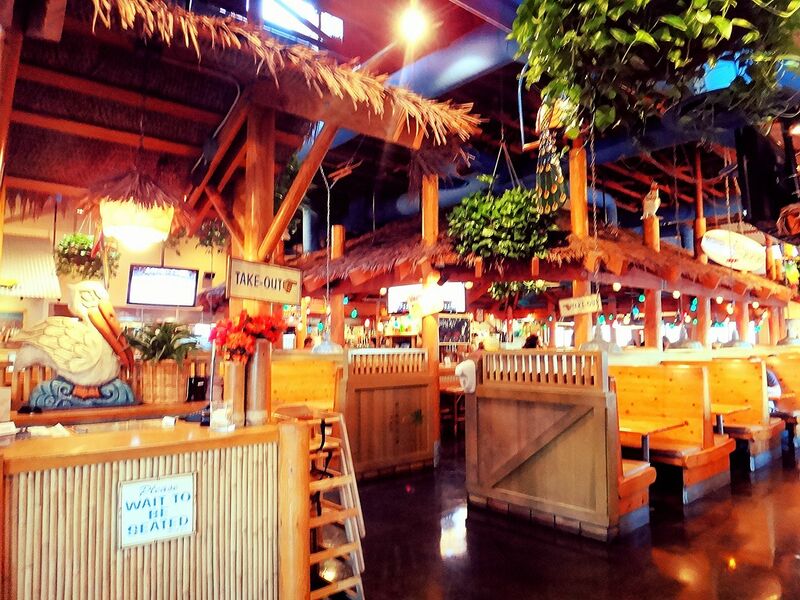 I have to say, it's nice to be able to relive my first dining experience every time I step into an Islands location.... and now you can get a taste of it too! 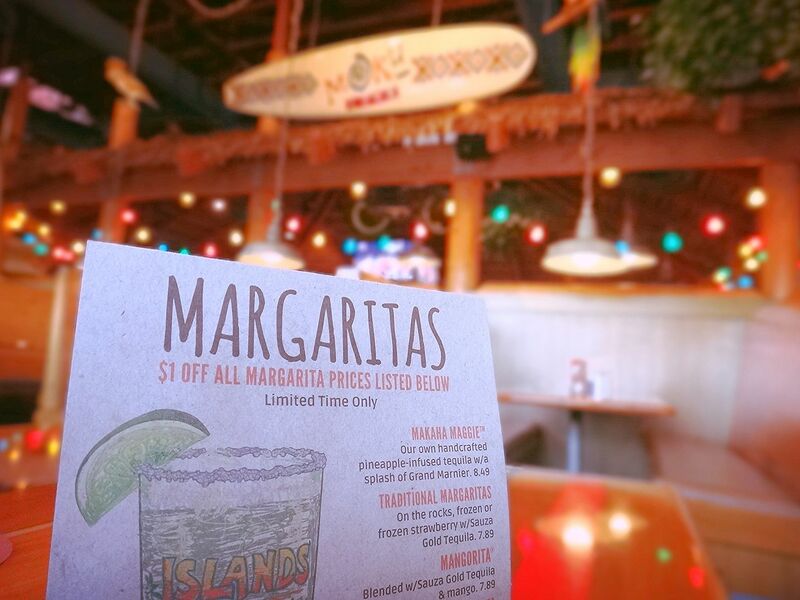 Islands was kind enough to sponsor this post (however, all of the mouth-watering pictures and delicious food induced comas are my own) and they're giving me a $100 Gift Card and two beach towels to give away to you! See below to enter! Mission Valley // And 8 other San Diego locations! Damn! That looks SO good, all around, everything about it. There's a place off the highway there (we saw it on diners ,Drive ins, dives) that has fantastic fish tacos (I think it's called Blue Ocean?) When we were in SD a few yrs ago we ate there 3 days in a row and we whimper when we think about it...I really want to return to your city and now I'm adding Islands to my list of reasons why! Glad your loved ones are safe from the fires~ Happy weekend! I love Islands! We used to go in Phoenix when I was younger, so I was super excited when we moved here and I saw that they have several in the San Diego area. 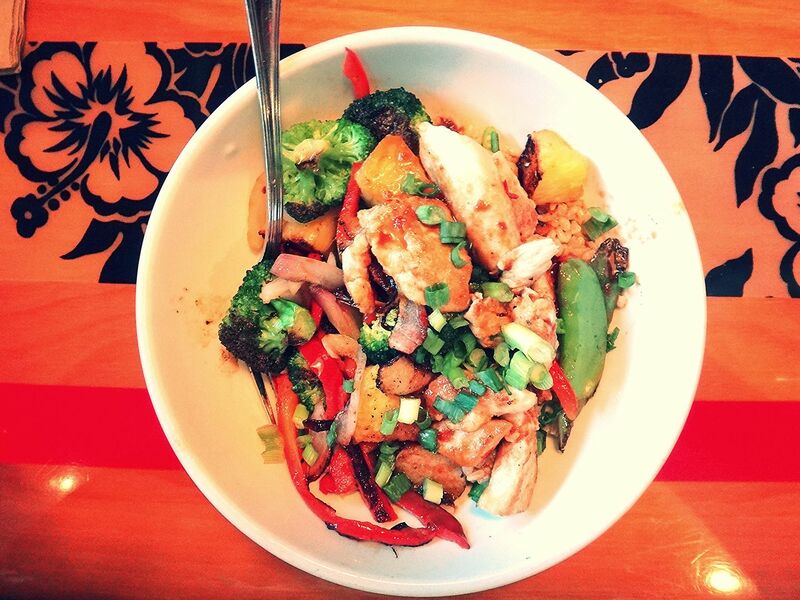 I don't think I've tried the beach bowl yet, but I will definitely check it out next time. I almost always (since the early 90s!) 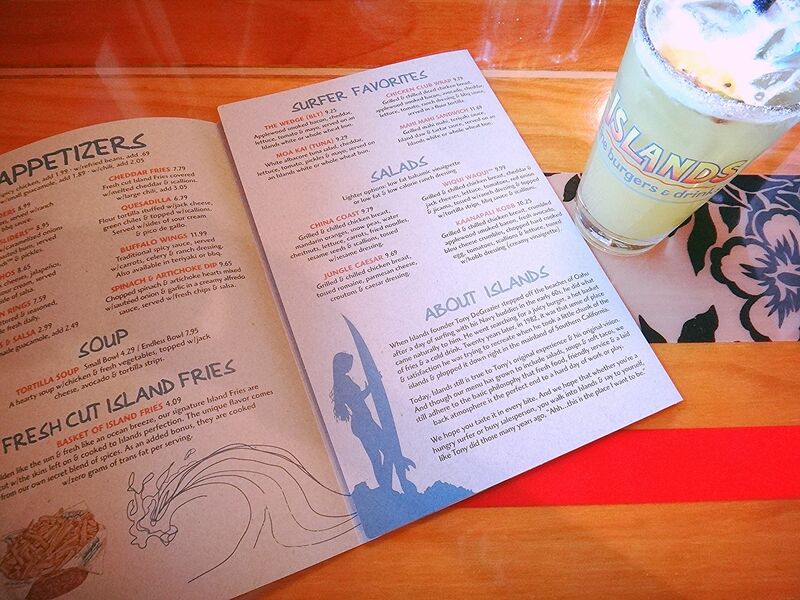 order the Northshore chicken tacos, and I also love that pineapple margarita and their Kona pie! But the nachos are pretty great, too!